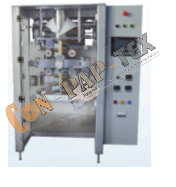 Established in the year 2007, we, “Conpaptex Equipments”, are an illustrious organization that is engaged in manufacturing, supplying and exporting a wide range of Wrinkle Removing Roll, Rubber Roll, Industrial Roll, Web Guiding Equipment, Winder Unit, Tension Control System, Core Holding Device, Safety Chuck & Locking Assembly and many more. The range made available by us is manufactured using using excellent quality material that is sourced from trustworthy and reliable vendors of market with the aid of our procuring agents. All our products are widely acknowledged in market owing to their intrusive attributes such as sturdy construction, longer service life, resistance to corrosion, outstanding performance and high strength. Moreover, we offer these products in various specifications at market-leading prices in order to cater to the diverse requirements of customers. Owing to the superior quality quality; our products are applicable in various industries such as converting, paper, non-woven, aluminum, tarpaulins, HDPE woven sacks and many more. Apart from this, we are engaged in offering Repairing Services that are applauded for their reliability, timely execution and cost-effectiveness.